Hello to all API enthusiasts! 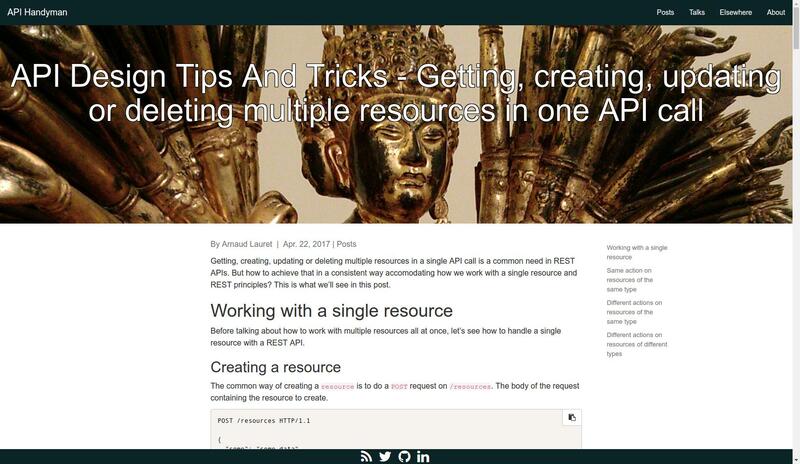 Arnaud Lauret has published a very graphic article about working with multiple resources via one API call. He explains first how to deal with one resource and then continues by examining three different cases (same/different actions for the same/different-type resources). Significantly, the text is followed by the code samples and funny gifs to make the topic easier to understand. Hardly any marketer would take high traffic as a dangerous sign. However, developers may do so and will be right. 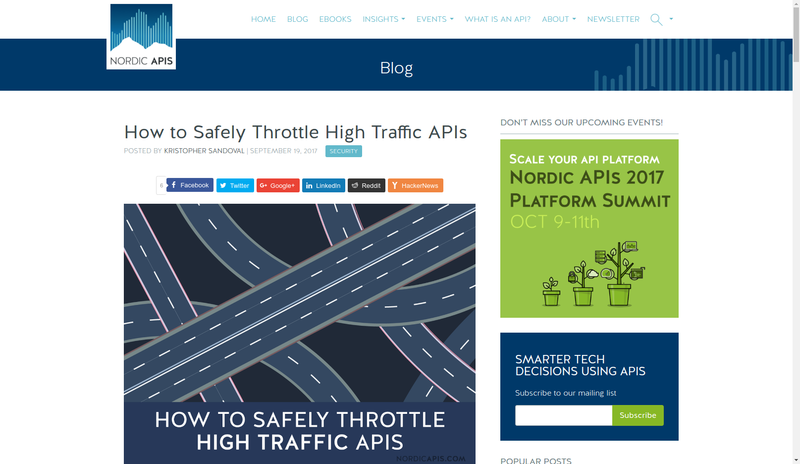 Kristopher Sandoval explains why “the more” does not equal “the better” when it comes to the untamed API traffic and provides a few effective scenarios on how to manage the traffic. An hour-lasting webinar hosted by Ellis Pratt, director of Cherryleaf, brings another input to the highly-hyped AI discussion. In particular, he explains the role and future of chatbots as well as how to incorporate them in your docs to enhance the user experience. 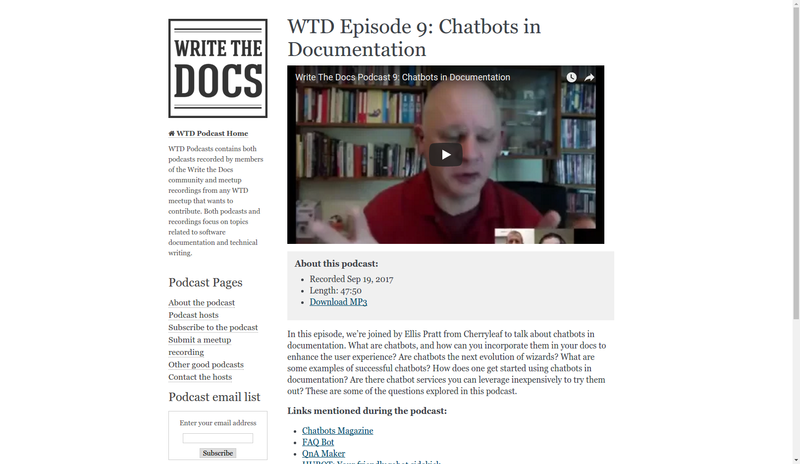 A podcast Chatbots in Documentation is available for download and includes all the links mentioned throughout the talk. 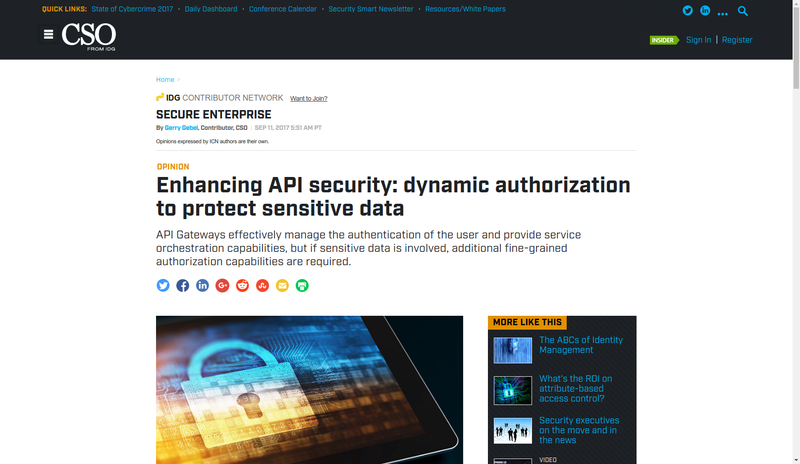 Security has always been a hot topic when it comes to API. Gerry Gebel has contributed to the discussion via suggestion dynamic authorization for sensitive data protection. API Gateways are good, yet they cannot guarantee any additional fine-grained authorization. 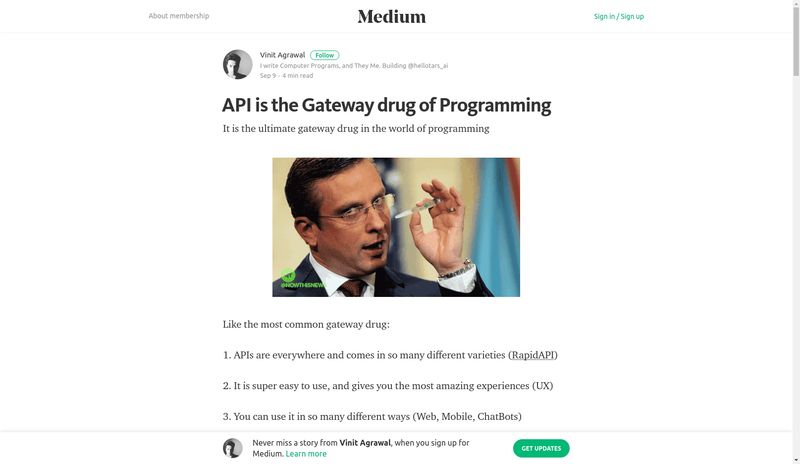 In an amusing way Vinit Agrawal provides readers with five reasons why APIs have become a gateway drug of programming. The author’s conclusion is simple as that: APIs are a perfect starting point to learn programming. Check it out to see whether the article is convincing enough. Alex Pedenko, CTO of CityBase must be knowing everything about building intelligent government and utilities (as long as this is the motto of the company). In the article, he provides an interesting perspective to the way government communication should look like. Particularly, he suggests using a unified API for those purposes. 7. 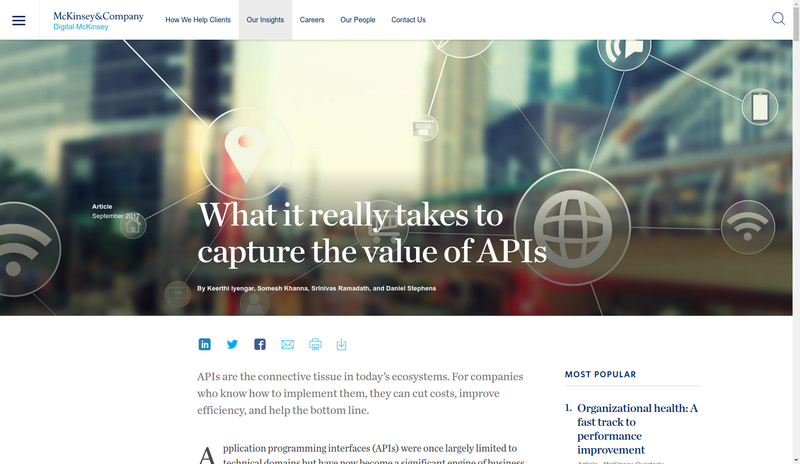 What Is The Biggest Challenge For Big Companies Doing APIs? After all, the main challenge for any big company is about people and culture. API Evangelist is sharing his experience regarding how these problems affect big companies doing APIs and what could be done to overcome them. 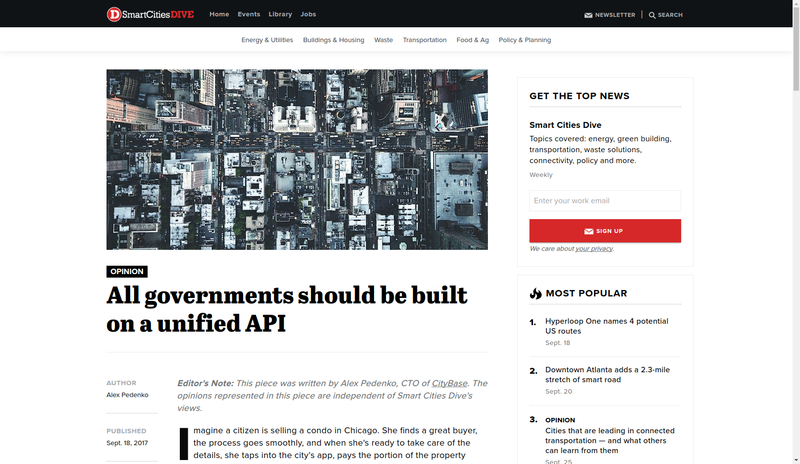 APIs are the connective tissue in today’s ecosystems. For companies who know how to implement them, they can cut costs, improve efficiency, and help the bottom line. McKinsey analysis has estimated that as much as $1 trillion in total economic profit globally could be up for grabs through the redistribution of revenues across sectors within ecosystems. Not everyone thinks of Google as an API company, but inside Google data centers, 10 billion API calls are made every second. Tim Burks, who has been working for Google for more than a year, says he found that the teams there thought about APIs in a different way than he had. 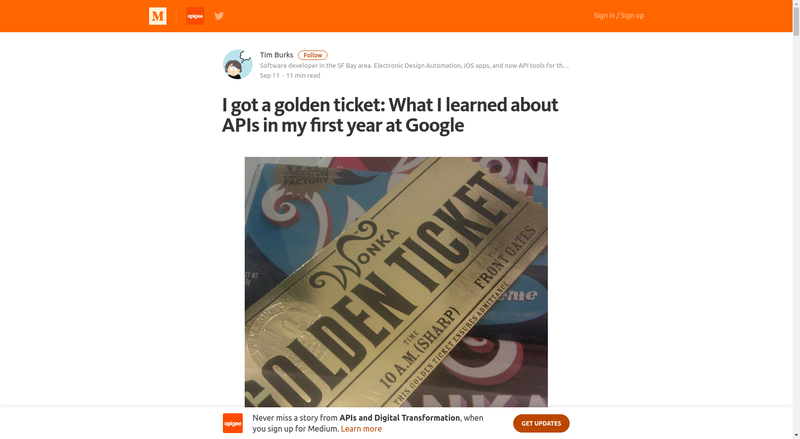 So, in the article, he kindly shares everything he has learnt about APIs during his first year in one of the world’s biggest API companies. Sometimes you need more from your API than what you get from the first set of returned results, and that’s where pagination — spreading out results over a number of pages or sections, comes as the solution. 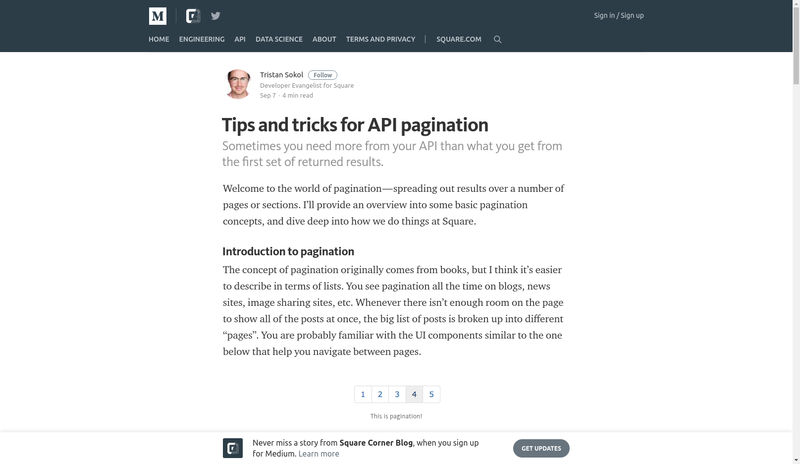 In his article, Tristan Sokol provides an overview of some basic pagination concepts. 11. 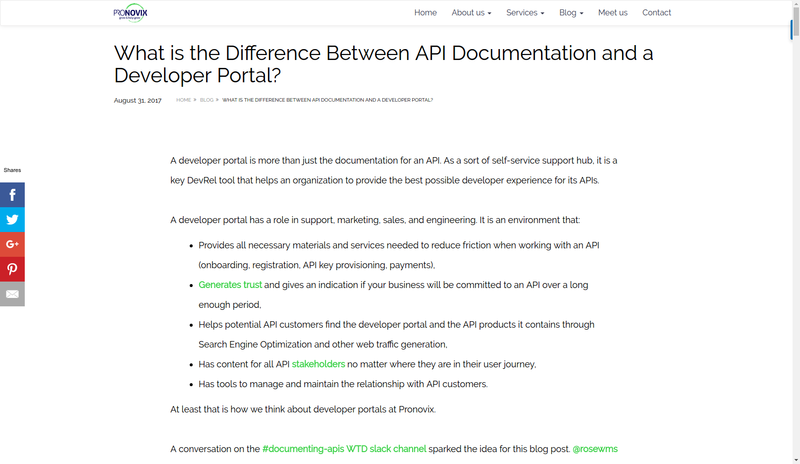 What is the Difference Between API Documentation and a Developer Portal? No one ever would count the exact number of times we’ve discussed the importance of precise and professional API documentation, so you just need to trust it must equal the infinity. Today we are glad to share another valuable and useful article by Kathleen De Roo which clarifies the difference between API documentation and a developer portal. It includes expert comments, graphs and well-structured bullet lists so that everyone could get the point. 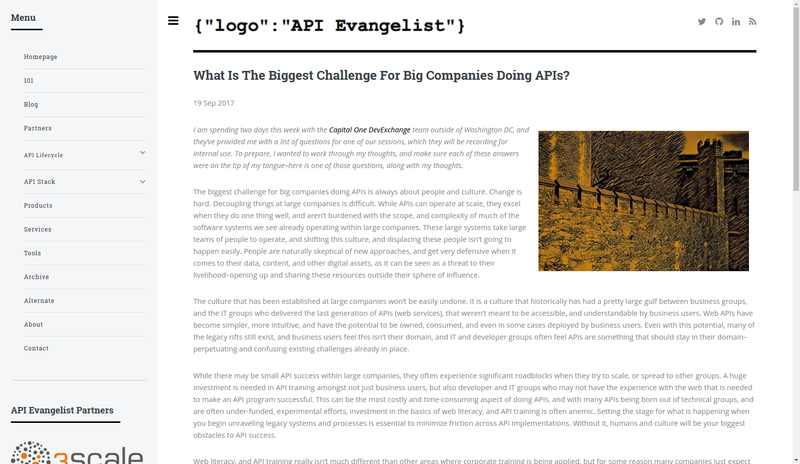 Art Anthony has recently posted an analysis of ups and downs of creating an API company (we suggest, it would be a fine continuation of the topic arise by API Evangelist, #7). A true life-story followed by the up-to-date data, graphs, speech, and slides - you’ll definitely love it! The article provides us with the key challenges an entrepreneur may meet on the way and a few thoughts considering whether it is worth starting at all. 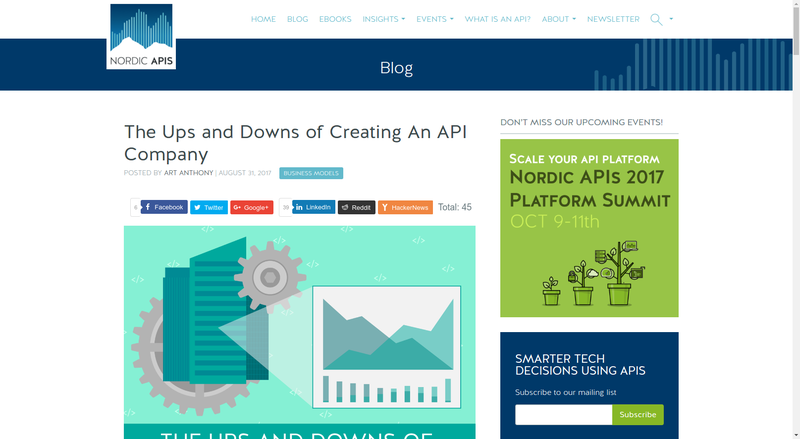 If you are interested in getting latest news in the API world, check our digest #77 and 76, API developer weekly #179 and #180 by Keith Casey and James Higginbotham as well as stay tuned for the new blog posts .